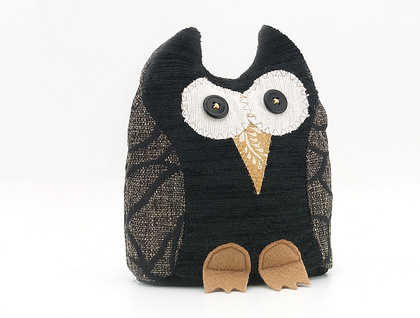 Black French Rosie Owl Doorstop is made from Upholstery grade fabric in a french rose design, black with natural colours. 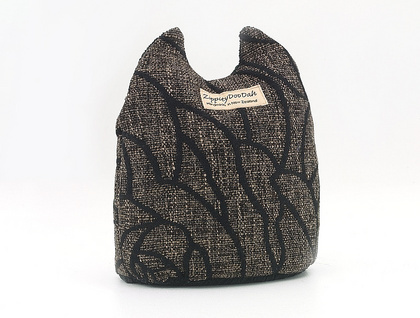 Her front is made from complementary black fabric with a woven in design,She has a soft yellow beak and Chocolate feet,and her eyes are made from retro buttons, French Rose would look great in natural surrounding or on a seagrass carpet or wooden floors, she would also love to be employed as a doorstop in a childs room. She is carefully made to my own unique design to my very high standards. Can also be supplied as a soft toy if desired. Filled with clean dry sand.